Ever toured a Northern Virginia home and heard the ring of a school bell in the distance? If so, you may have wondered about local school hours and sessions or even score ranking. And while every district is different, local schools play a big part in home ownership. From resale value, to property taxes, you can bet that your local schools will be influential on real estate purchase. So, in an effort to find the right home, it's time to sharpen your pencils and search out some statistics regarding your home. Do you know how to determine if your new home is the best choice? 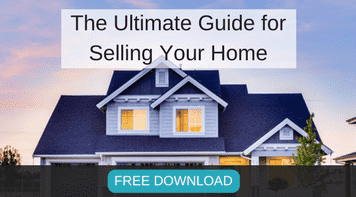 What Research Helps When Buying a Virginia Home? A little research (which includes working with a real estate agent that knows Loudoun County can go a long way in home buying. Knowing the neighborhood and local community means being aware of similar property values, market trends, crime statistics, and the local schools. If you want to do your own research on any area, in addition to asking us, here are some resources for you to consider. In any neighborhood, consider the school district and the individual school located near your Virginia home. Watch for general trends rather than yearly scores. The money a school district or individual school spends per child, teacher turn-over rate, and parent satisfaction rate will give you the information you need, along with traditional API scores. There are numerous factors involved in searching for the perfect home. We are here to assist you. Let's get started!